Ziva is a Boxer/mastiff mix. She is Fawn with flash and white socks. She is a little over a year old, friendly but hyper. 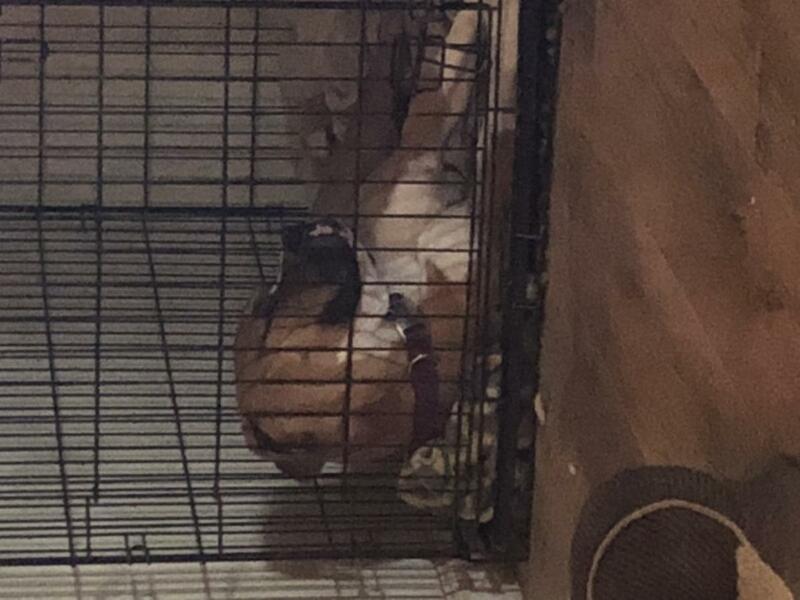 The only photo I have isn’t great as it is her sleeping in her crate.